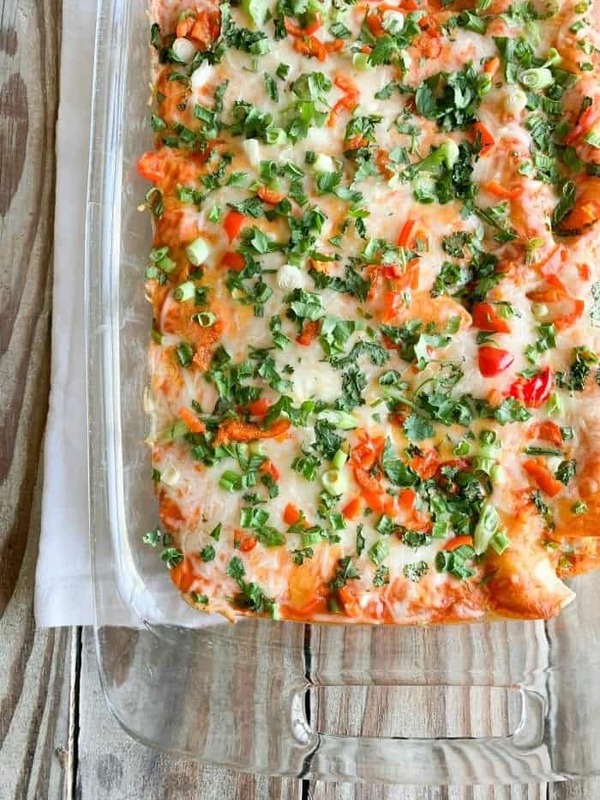 My Weeknight Chicken Enchiladas are the perfect family meal even during busy weeknights. 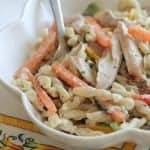 Simple to prepare and packed with family friendly ingredients. 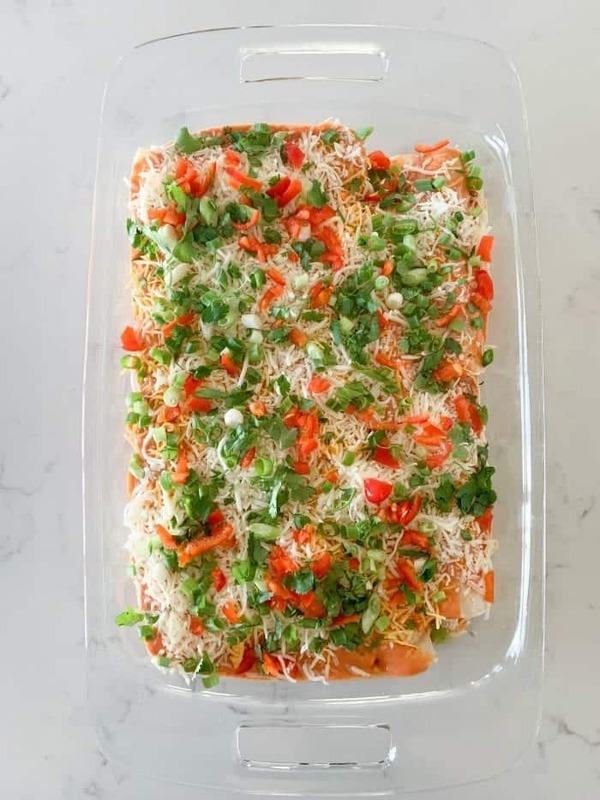 Weeknight Chicken Enchiladas are one of those dinners that make the house smell amazing and have everyone excited about dinner. 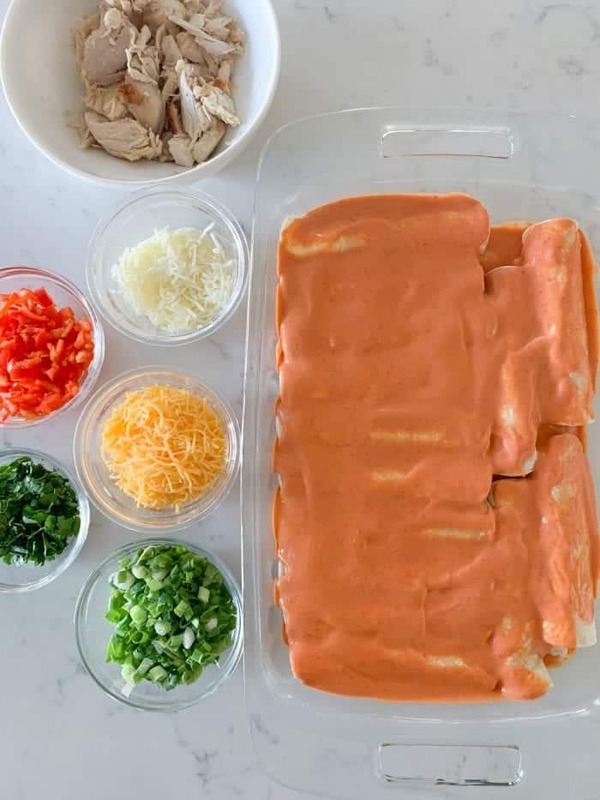 Chicken enchiladas don’t have to be a hassle. With my weeknight version, it’s no-fuss and takes less than 30 minutes to get into the oven. You’ll love this one! Simple ingredients will have you on your way to a family favorite dinner in no time. Make sure you take advantage of Rotisserie chicken to save cooking time. I shred it ahead of time which helps a ton. What Kind of Enchilada Sauce Should I use? 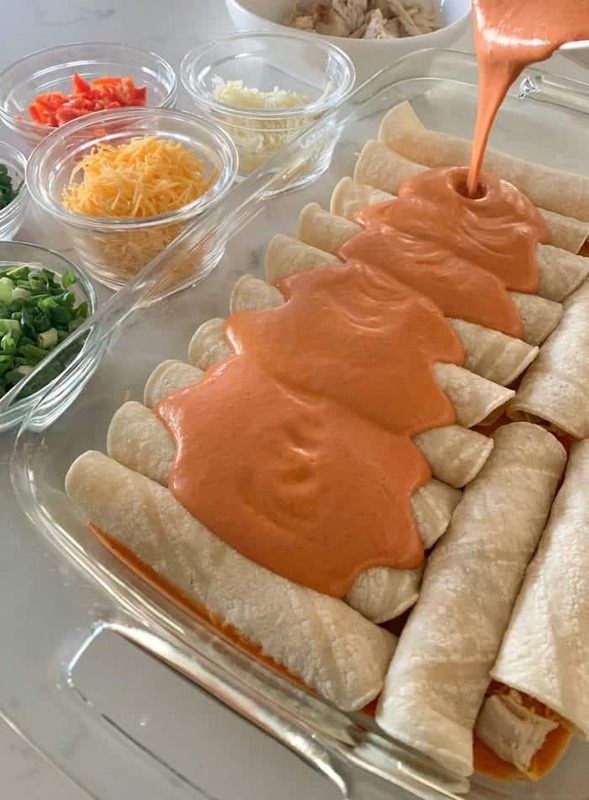 There are a dozen enchilada sauces to choose from while deciding at the grocery store. There are a few brands that I prefer over others. I like Macayos mild red enchilada sauce. It’s not too spicy and has great flavor. 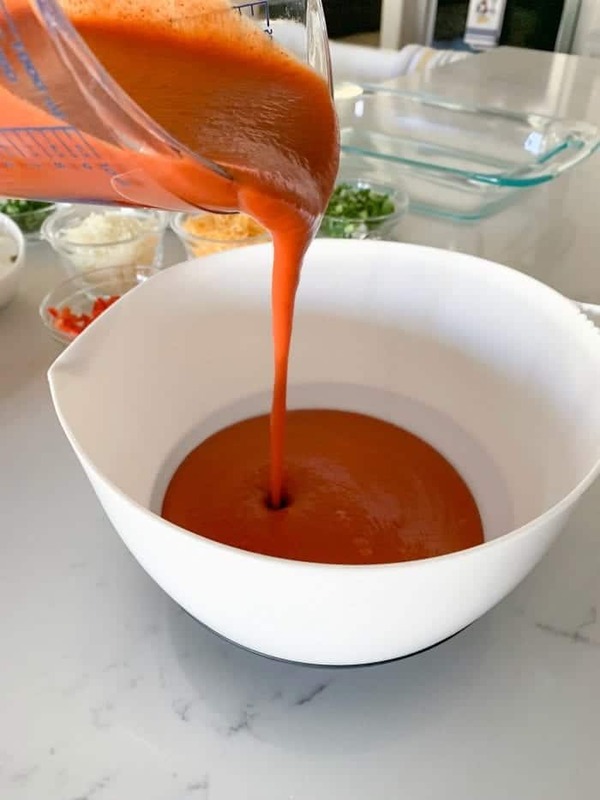 If you own the Picky Palate Cookbook, I have an awesome homemade enchilada sauce recipe! Stir in sour cream to your enchilada sauce for a creamy, even more mild sauce. It’s delicious when baked. 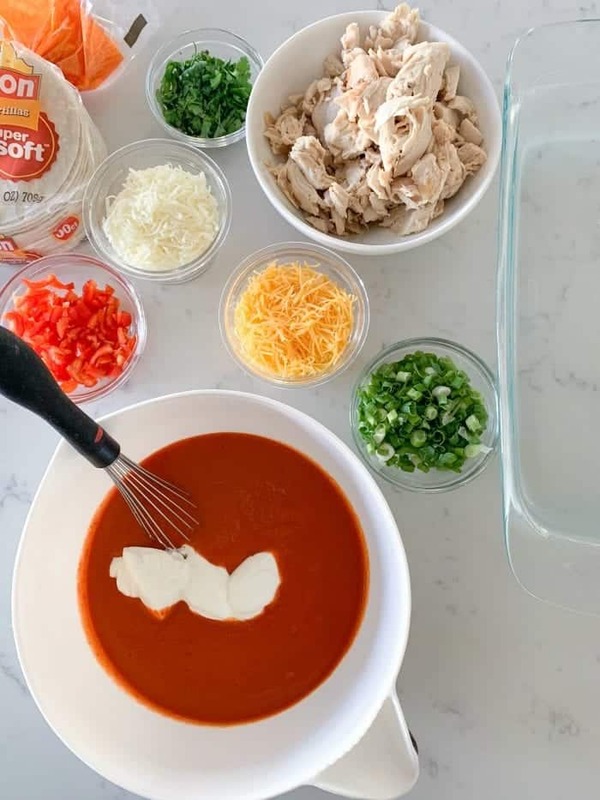 You’ll want to pour about 1 Cup of enchilada sauce into the bottom of your baking pan to start. Spread it around so it’s evenly covering the entire bottom of your 9 x 13- inch baking dish. How Do I Keep My Tortillas From Tearing? One of the biggest annoyances of making enchiladas is having your tortillas break when trying to roll and place into your pan. To PREVENT this, take small batches of about 8 tortillas and microwave for 1 minute, until nice and hot. Having hot tortillas is KEY to prevent breaking while rolling. 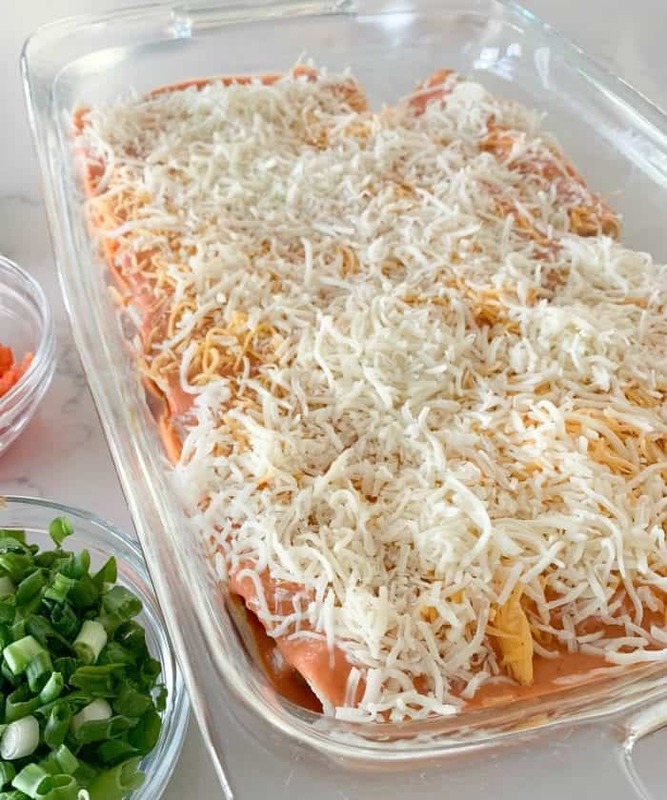 How Full Should I Fill My Enchiladas? 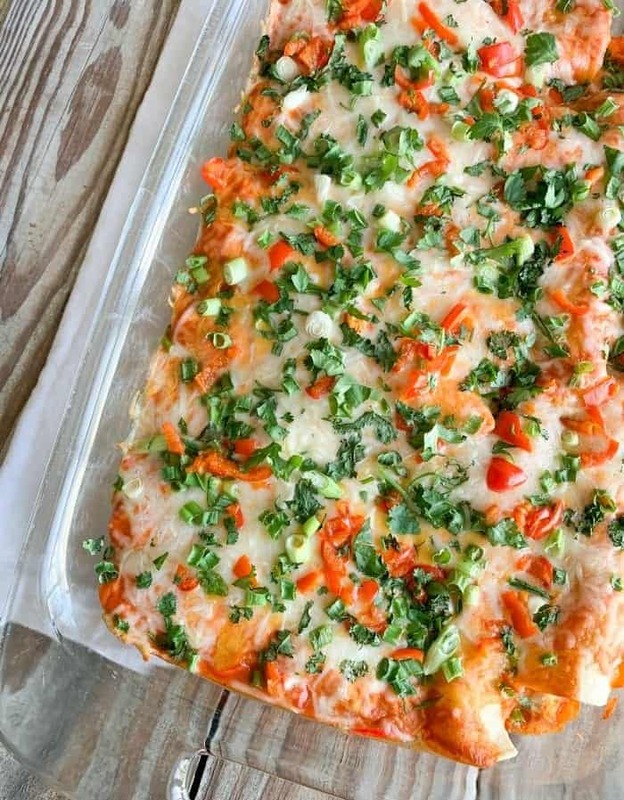 One mistake many will make is overstuffing each enchilada. This will cause the tortillas to break and it’s just not necessary. 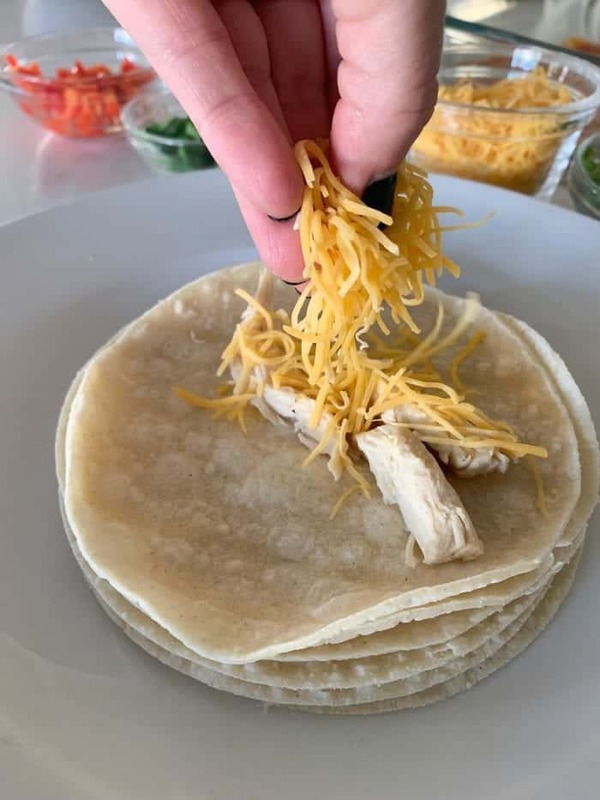 Place a small amount of shredded chicken and cheese into center of tortilla and carefully roll into a nice tight roll. 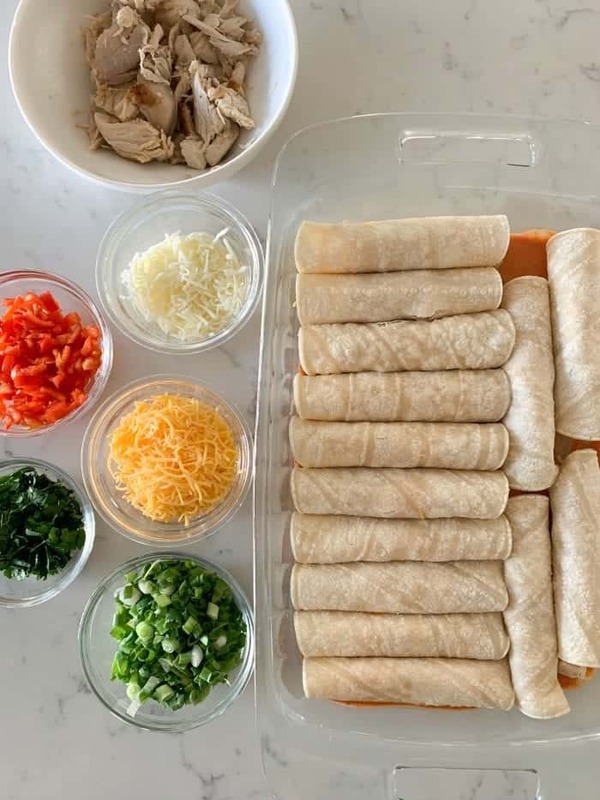 How Do I Arrange My Enchiladas? You need to make sure you place tortillas seam side down into your baking dish. That way they stay rolled nicely. I fit 14 enchiladas in my 9 x 13- inch baking dish. 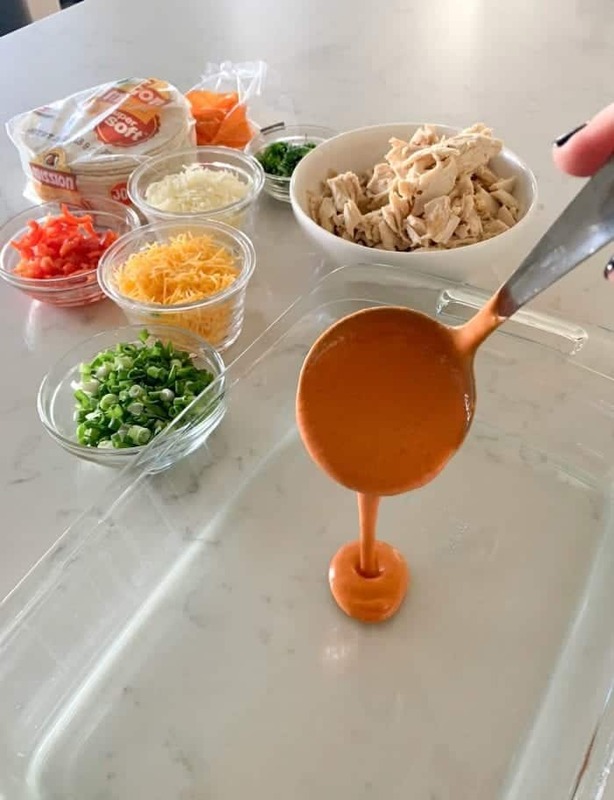 Use a spoon to make sure sauce is covering all tops and sides. Top with cheddar and mozzarella shredded cheese. Top with sliced green onion, sliced mild red peppers and chopped cilantro leaves. 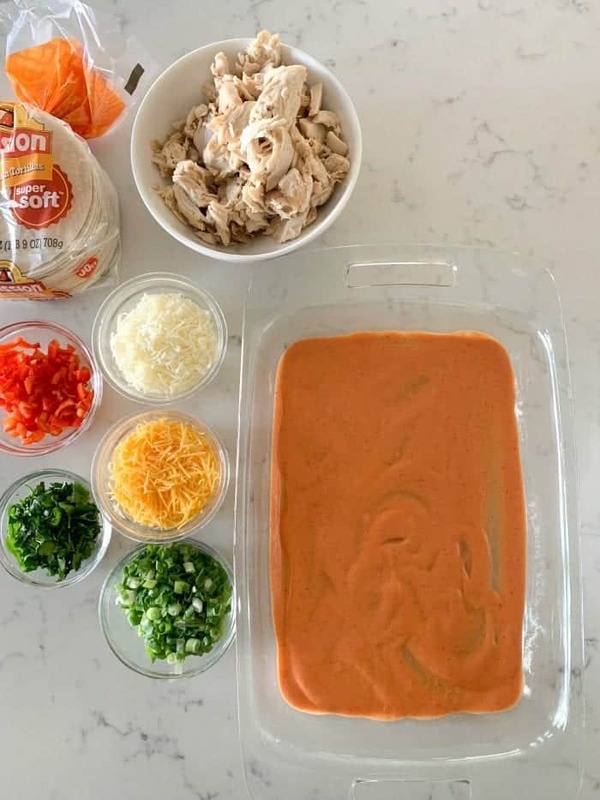 *Use shredded Rotisserie chicken for speedy prep time. *Chop your vegetables ahead of time for less prep time as well. *Feel free to switch out protein if desired. Beef works great as well. 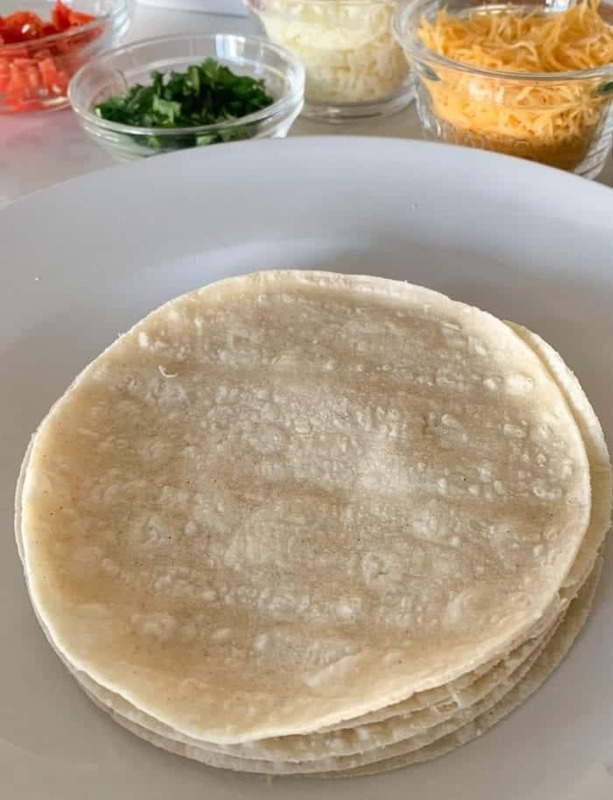 *Make sure tortillas are hot before rolling with filling. This helps prevent breaking. 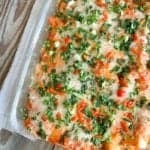 What Should I Serve With Easy Chicken Enchiladas? *A simple green salad is a perfect side dish. *Mexican rice pairs nicely too. *Homemade guacamole, chips and salsa are always welcome with Mexican dishes. Preheat oven to 350 degrees F. and have 9x13-inch baking dish ready to use. 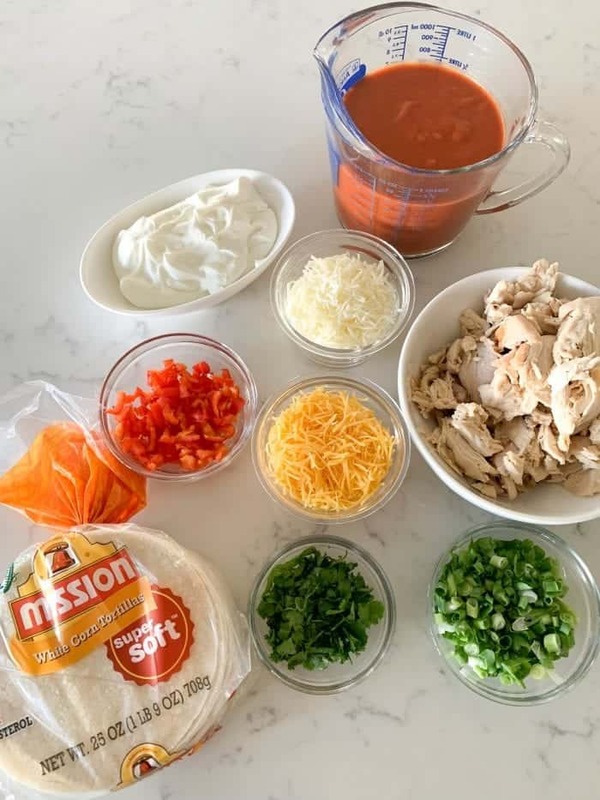 Place enchilada sauce and sour cream into a medium mixing bowl. Whisk until well combined. Place 1 cup enchilada sauce mixture into bottom of baking dish, spreading evenly. over filling tightly and transfer to baking dish placing seam side down. red peppers and cilantro leaves. Bake for 30 minutes, or until hot. Remove and serve warm. I won my Ward’s Trunk or Treat Chili cook off with your recipe, Jenny. Thank you! I think it was all in the Chorizo. No way Rebecca!! So awesome!